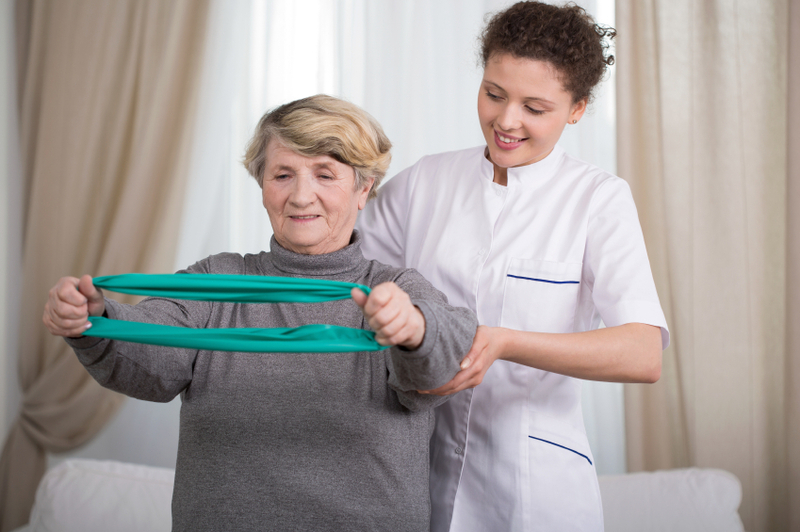 Physiotherapy can be an effective course of treatment to manage the symptoms of chronic chest and lung conditions. Chronic obstructive pulmonary disease (COPD) is a collection of lung diseases; emphysema, chronic bronchitis, chronic obstructive airways disease. There are also other respiratory diseases we can treat the symptoms for, such as asthma and pneumonia. When a condition reaches a stage where carrying out daily tasks becomes a struggle or has led to a spell in hospital, a person can tend to become less mobile which will worsen their condition over time. Fairhand Visiting Physiotherapists will help you to manage your symptoms, with realistic expectations, so that your day to day tasks can once again become achievable and the risk of an infection returning is reduced. Mrs H had been diagnosed with COPD and had a chronic history of hospital admissions and repeat use of antibiotics. For 18 months, Fairhand visited Mrs H twice a week, and applied our chest treatments of postural drainage and percussion. Most importantly, we taught Mrs H how to manage her own breathing and sputum management. As a result and to date, further hospital admissions have been avoided and has been no need for any repeat prescriptions of antibiotics.